Preparing an Information Technology (I.T.) budget can often be a dreaded task. Tech people seem to always want to spend more money and accounting people want to make sure funds are spent wisely. Both parties are striving to be good stewards of God’s resources, but there’s a critical disconnect between the dollar signs associated with a request and an understanding why the technology is needed. When the accounting department sees a request or PO for toilet paper they don’t often ask many questions. Everyone knows what toilet paper is for and why it is needed. However, when Accounting sees a PO for a virtual server host they tend to ask a lot of questions. (Granted, one virtual server host costs as much as a year’s worth of toilet paper for most ministries.) This challenge is further compounded when normal ministry politics are involved. 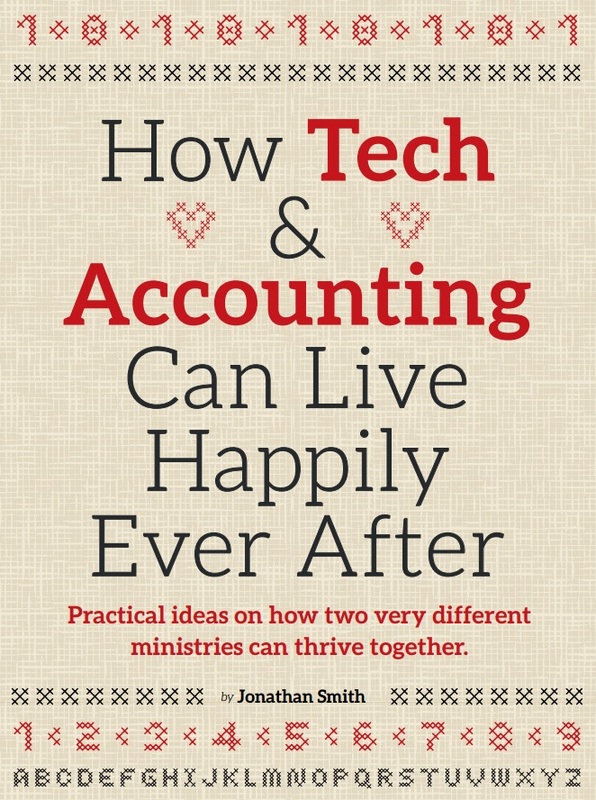 Budgeting for IT, Audio Visual, or any other aspect of technology in ministry doesn’t have to be a bottleneck. Both technology and accounting folks need to work at making sure technology purchases like virtual server hosts are as easy to accomplish as purchasing toilet paper. But it takes teamwork. Technology is complicated. So is accounting. While it’s easy for us to spout acronyms, we shouldn’t. Our requests for funding or explanations of how we are going to accomplish a project should be easy to understand. It is far better to invest the time to communicate than to attempt to snow someone in an effort to save time. Investing the time in communicating builds trust. Trust is vital to all aspects of ministry. Without trust, giving decreases; without giving there won’t be any money to buy toilet paper or virtual hosts. Trust is sometimes compromised unintentionally as good people try to work towards a common goal. To maintain trust you must not try to hide anything. No question should be ignored and no request for additional data should be put off—whether reasonable or not. Building trust leads to cooperation. Cooperation is the sweet spot when the accounting team and the technology team are working together at maximum efficiency. As projects and requests come up both teams are able to quickly process information and produce results without unnecessary drama and without any additional drain on resources. And maybe, just maybe, through this cooperation the tech folks will learn a little about accounting and the accounting folks will learn what a virtual server host is (and why it’s needed). 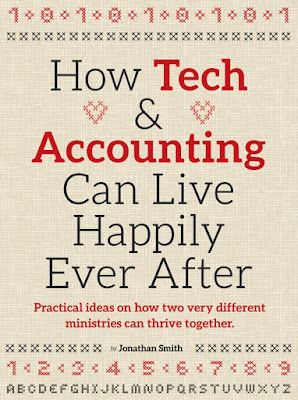 Accounting is able to be accountable while Tech is able to be productive. Productivity is the ultimate goal—being productive to maximize effectiveness for the Kingdom. The technology team is a trusted resource that communicates effectively and the accounting team is valued for ensuring proper tracking of all funds and stewardship. These foundations are critical to managing technology projects and budgeting. Technology expenditures should be planned, and not surprises. Equipment wears out: planning hardware replacement cycles is the duty of every technology manager. When you buy a server you know it won’t last forever, just like toilet paper. These plans can be done numerous ways and it’s important for the technology team to work with the accounting team and church leadership to determine the best way to save for and handle these ongoing expenses. There is also the matter of special projects and new construction. It is easy to let the tech costs reach towards the heavens on new construction, but tech budget requests should be prepared and presented knowing that if there isn’t enough money to build the building then there won’t be any need for the technology. Trust can be built when the tech folks show they understand the fiscal realities of a project and don’t attempt to sneak in things just because it is a new building and a much larger overall budget. The technology staff should also be looking ahead. At any moment the tech team should be able to enumerate their top three projects, whether those projects are for software, infrastructure, hardware, or employees doesn’t matter. They should also communicate as items age and need to be replaced. Not that every request will get approved, but at least if something important does fail you have communicated in advance—and not in crisis mode. This is also why a member of the tech team should have a seat at the leadership table. Not because technology is the driving force but so that when ideas and projects and budgets are discussed the tech team is available to provide input and answer questions. Technology should be positioned as a valued resource that improves effectiveness, not a necessary evil. Too many times the people behind the technology cause the technology to be improperly positioned. There is a great deal of comfort and security that comes when the technology and accounting teams work together as part of the King’s community. Surprises are limited. There is security in knowing what you can and can’t afford. Ministry impact increases. Besides, who wants to be part of a community without toilet paper?